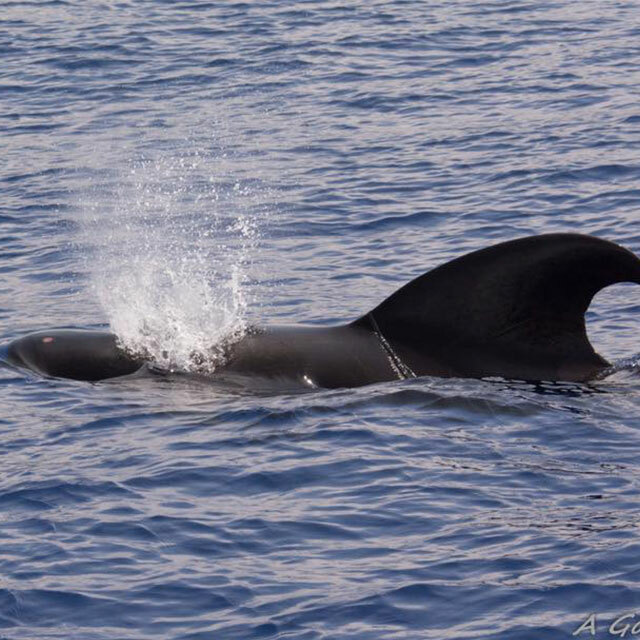 Aloha From Pacific Rim Divers, Ltd.
on your next visit to Kona Hawaii. When you visit the Kona Coast, you want to experience the beach and the ocean, and snorkeling or SCUBA diving in the Kailua-Kona, HI, area is a phenomenal way to do that. 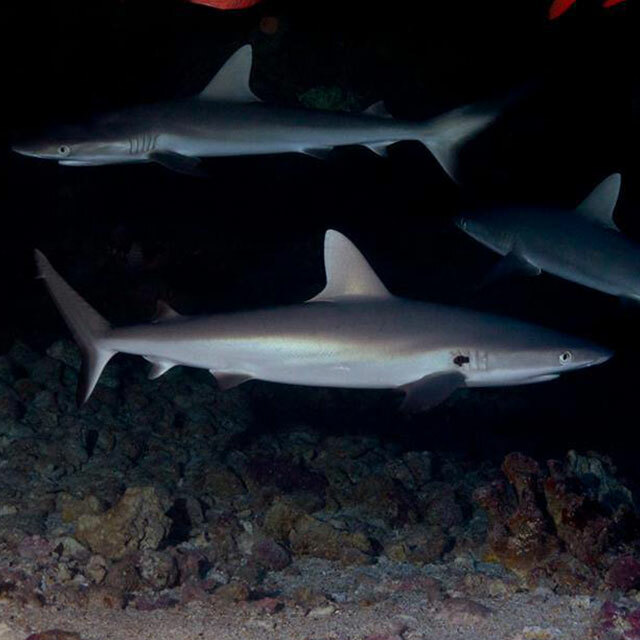 When you dive beneath the waves with Pacific Rim Divers, you'll feel the pulse of the islands, view wildlife, and have the adventure of a lifetime. The key to a satisfying SCUBA experience is a great instructor and a small group. 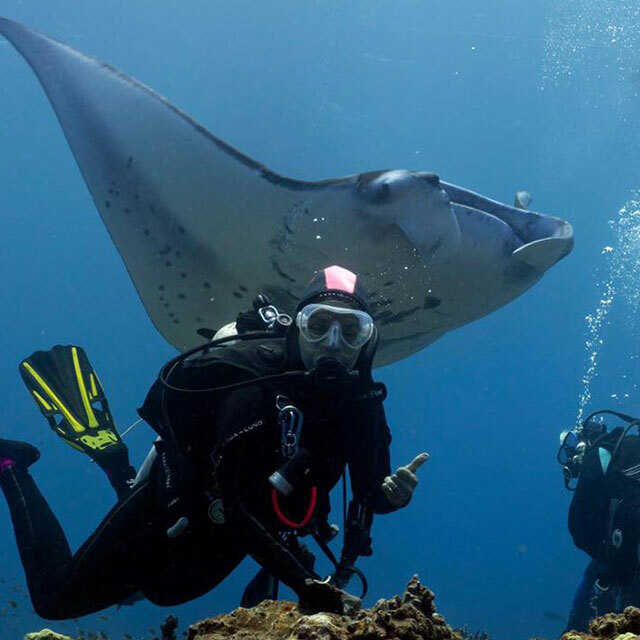 At Pacific Rim Divers, we keep our groups to six divers and their dive master so you'll receive plenty of personal instruction and have a clear view of sea creatures like the dolphin, octopus, manta ray, and hammerhead shark. Our small groups also reassure anxious divers. 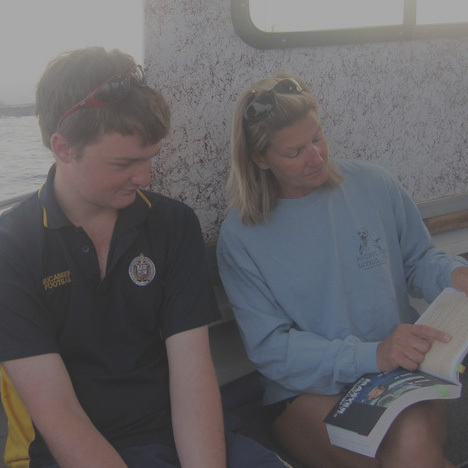 In addition to teaching and guiding you, your dive master will help you if you struggle. Small groups bring both maximum enjoyment and maximum safety. 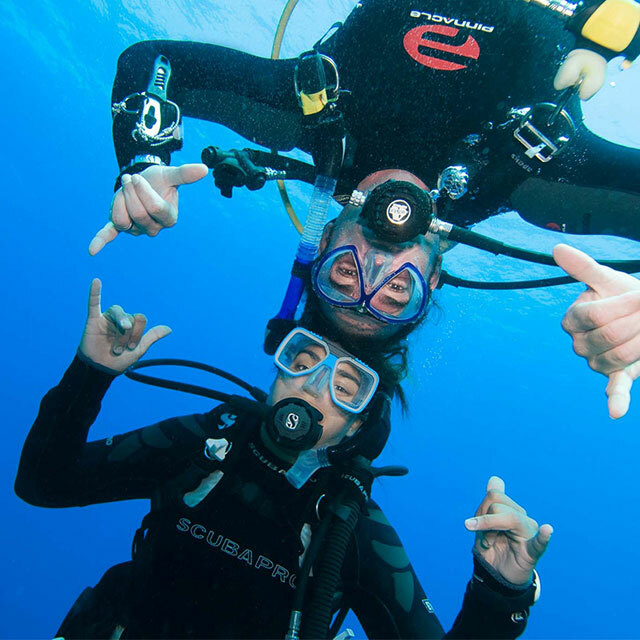 Frank and Patrice are the husband-wife team behind Pacific Rim Divers, and we make sure you see the best of the Kona Coast in comfort. When you go on a trip with us, we'll give you our insights about the ocean, the wildlife, and the area, and we go over important information in our pre-dive briefing. Our 12-passenger boat is made for divers, by divers, and our experienced crew knows the best places to see the wonders of the Kona area. In between dives, you'll enjoy Patrice's world-class brownies. Email us for more information or book a charter today to see why 85% of our clients have gone SCUBA diving with us before and do so again. Come on in and take a look around our web site. We hope you will enjoy your visit. 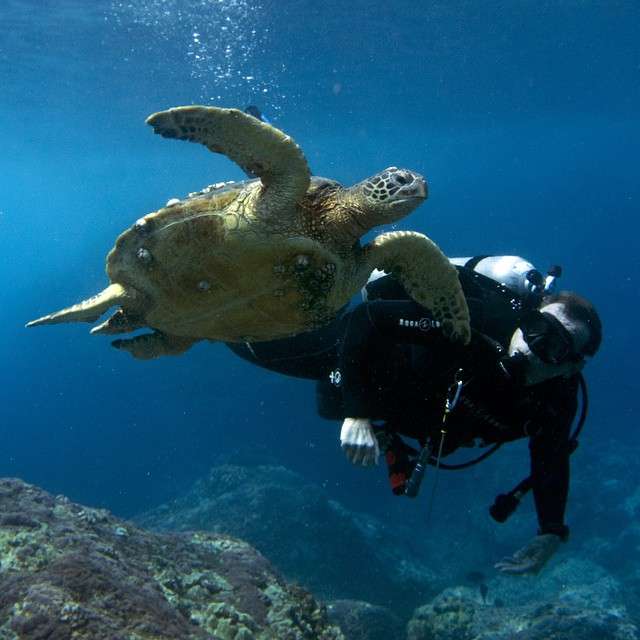 Please consider scuba diving and snorkeling with us on your next visit to the Kona Coast. 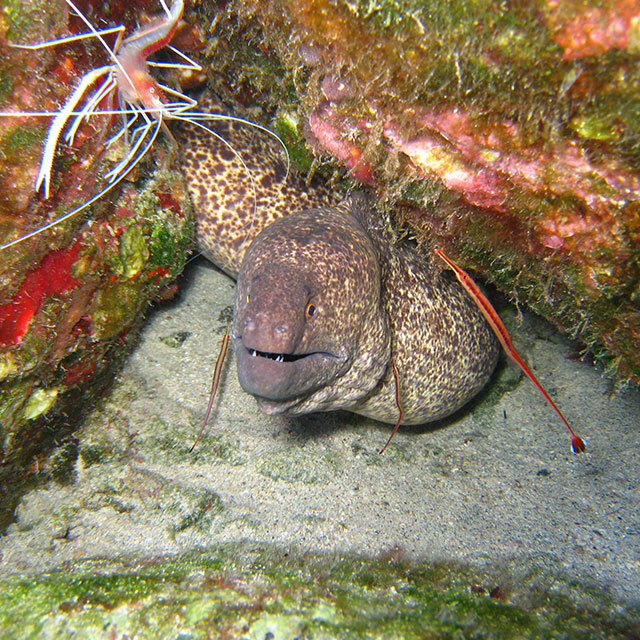 quality diving and customer service offered by us here at Pacific Rim Divers. "Hawaii, The Big Island Revealed"
Pacific Rim Divers is listed as one of the "Tops in Kona" by Authors Andrew Doughty and Harriett Friedman. "If we had to pick one, it would probably be Pacific Rim Divers." 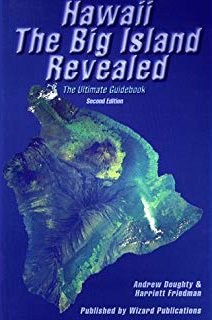 Check out their guide book "Hawaii, The Big Island Revealed" as well as their popular guides to the other Hawaiian Islands by clicking on the button below.